Do you believe that there is that one moment in your life that can alter your fate? Alter the course and change your perspective on love and life forever? If so, be prepared to get mesmerized for a story that will utterly leave you wanting more. A story that will grip you and take you on an emotional roller-coaster ride. A ride that will leave you breathless, raw, and exposed. A ride that will steal your heart. 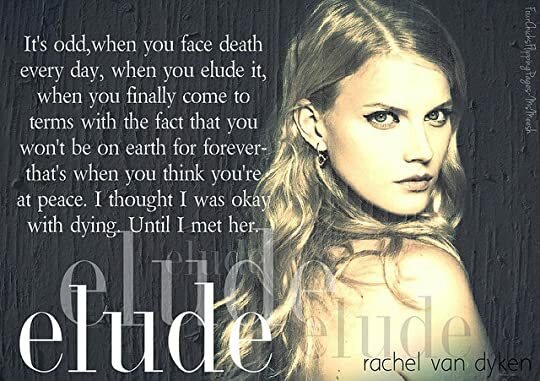 And in this sixth installment of the Eagle Elite Series, Rachel Van Dyken has once again reminded readers like myself that she is an amazing author who can weave suspense, heart, grit, love, loss and hope all into the story line. 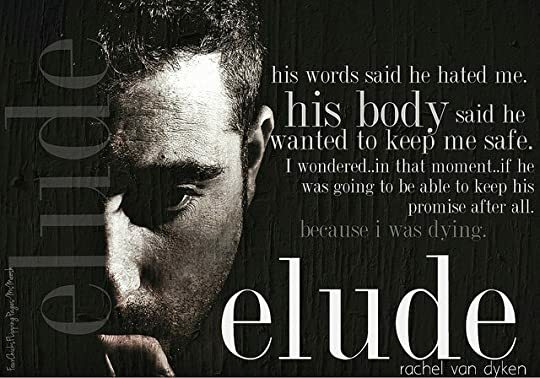 Elude is a story that reminds us all that it's the unexpected that changes our lives. And for Sergio and Andi, this couldn't be more than true for this couple. Ms. Van Dyken was able to handle the sensitive subject of death in such a graceful and powerful way. For Sergio and Andi, their relationship may not be the conventional love affair but it was the kind of love that tugged every strings of your heart. Sergio has always been an raw enigma of a character and closed off. And so a part of me was beyond excited to see him finally open up and it all it took was a dying girl to spark some life back into his life. I honestly don't think this book could be reviewed with just words alone because this book is about FEELING. Feeling the raw emotions and acceptance that people enter into your lives for a reason. And for Sergio, his redemption and salvation was Andi. Andi, will go down as one of my favorite heroines because she lived life to the fullest and came to accept her time on earth is coming to an end. But what I love about this book was that we can try so hard to elude death, but in reality its something that's inevitable just like love. 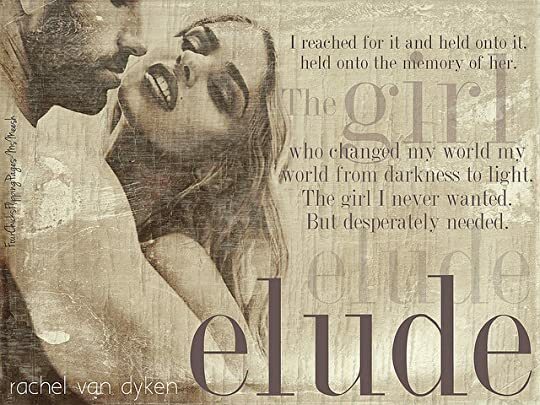 So if you are looking for a book that took suspense, romance, loss, and love to another level then I highly suggest you to read Elude by Rachel Van Dyken.